Who's Got The Oldest F-150?? The truck has to be in decent shape (or at least road worthy) and still see the pavement every now and then. Who has the oldest F-150 on the road?? Given that the F-150 connotation first appeared in the 1975, it shouldn't be all THAT difficult to have members post their pic's. 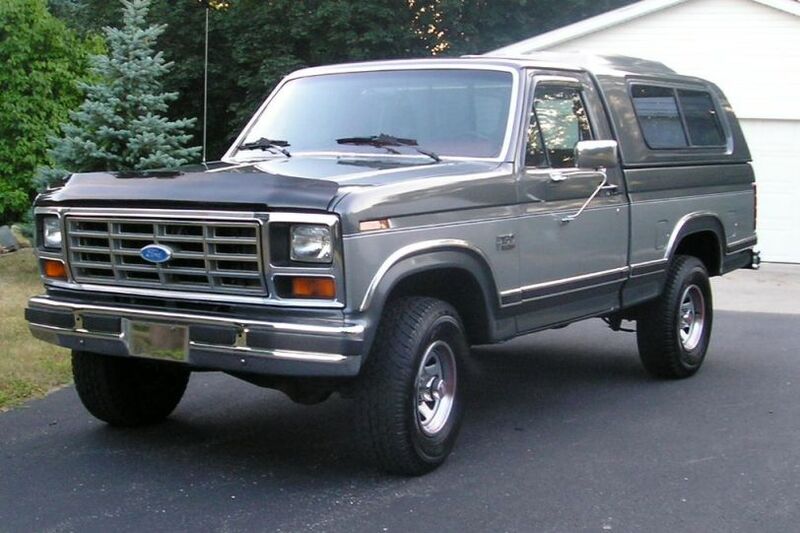 Alas, my 1st F-150 was a 1986 XLT Lariat short-box 4X4. *Bought in 1991 and traded-in (for a 2009 STX 4X4 4.6L 3V) with 290,000 miles (as pic'ed above). Quick Reply: Who's Got The Oldest F-150? ?